Lamba Bhada chahiye ! Meter se nahi jaana ! HOLA ..I just did OLA !!! On your face ! Lamba Bhada chahiye !!! Udhar nahi jaana !!! koi aur taxi le lo !!! Meter se nahi jaana !!! This is how typically his everyday starts when he talks to first people he meets every morning.The story doesn’t end there. 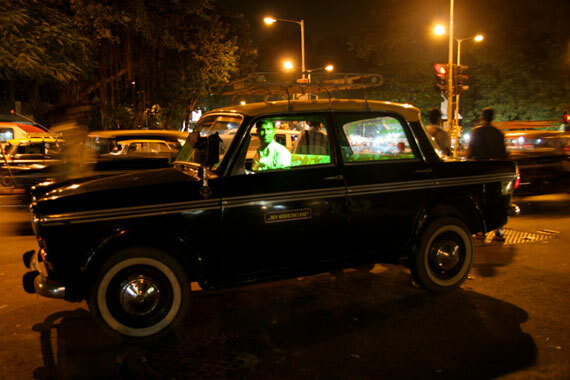 He has to come back from office to home in the evening with the same cab drivers. How many of us would have heard these lines while waiting and asking for a taxi only to be refused by a cab driver or surrendering to his demands. It could be raining or a hot sunny day or chilli winter and you never are sure of getting a cab. We could be going to airport or late for a meeting , they just don’t care. Such is the audacity of cab drivers that they will sit for almost an hour without a passenger but will only do what pleases them. They have unions , they have that stinky dress and most importantly they have their attitude. Then a miracle happens. Its called OLA. yes , download the app , open GPS , select the cab type and its “RIDE NOW” Cab driver comes on time. Wishes him morning , picks him up , drops him to office. He gets his invoice and message on his phone. The daily refusing cab driver has lost 1 passenger. Thousands and millions of cab rides are booked for such reasons and then the cab drivers go on strike on June 15 2015.
a. Strike is a tool to increase inefficiency : The refusing taxi driver does not like when someone efficient is getting the passenger who he has pissed off over last many years. Now there are E-COM guys willing to give the customer oriented service and are more efficient , the slack of taxi drivers and their lack of competence has induced them to opt for strike. They want to breed the system with inefficiency. c. Stop unionizing and start competing else its gonna be only agonizing : Imagine a kid misuses his toy regularly , breaks it and then cries until he gets back a new toy from his mommy and daddy. For how long will this kid survive in real world ? This is exactly happening now. They mishandled their customers for years and when they cant compete with efficient service providers they go for strike. Its time they realize that in order to succeed in the real world , you have to compete. There were a lot of passengers ( read : passengers who may not have heads of OLA or ECOM cab service providers ) but after today’s strike , they have started knowing them. They are also tempted to use them as Kaali peeli are officially unavailable. Should entire India wait for you to grow old and retire and wait for new ( read: tech savvy , customer oriented and of course with less ego and attitude) cab drivers to come in this world ? or would you like to take some lesson and learn to behave yourself and evolve ? For God’s sake even dinosaurs became extinct as they could not adapt , learn evolve and adapt else get ready to become dinosaur ! !